Online - Residing offshore; or Online - Residing in Australia: only available to international students onshore on an Australian government visa other than a student visa that entitles the holder to study. Prepares you for a professional career in English language teaching. Ideal for teachers who want further specialisation in the English as a Second Language field. Develop excellent knowledge and practical skills to teach English to speakers of other languages. TESOL is ideal if you have teacher qualifications and are considering a career change from within another educational context, or if you would like to better understand the language issues facing many migrant children or international students. Teaching English to Speakers of Other Languages (TESOL) is designed to prepare you for a professional career in English language teaching. The TESOL core units deal with how second languages are learned and what are effective ways to teach them. The introductory unit Theory and Practice of Second Language Teaching and Learning will extend your knowledge and explore possible pedagogical implications such as application of technology to second language learning. You may consider taking advantage of option units from the broad range of study areas available in the masters course to help prepare you for a change in career direction or specialisation. You can choose to study externally or on campus, and either part time or full time. All the lectures are recorded and study materials are available online. You can access these resources at any time to help you fit study into your lifestyle. Graduates will be prepared for employment in the field of teaching English to speakers of other languages. You can exit the course with a Graduate Certificate in Education (TESOL) following completion of the four core units required for this study area. A postgraduate degree (graduate certificate, graduate diploma or masters or higher) in the field of education. Please note you do not need to apply for the 1 year program as you will be automatically assessed for eligibility as part of QUT's application for admission process. postgraduate degree (graduate certificate, graduate diploma or masters or higher) in the field of education with a minimum grade point average of 4.0 (on QUT's 7 point scale). 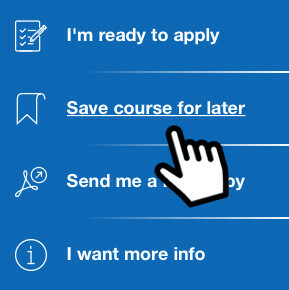 On entry, you will be assessed for advanced standing (credit) for 48 credit points (4 units) based on a completed Australian Qualification Framework (AQF) level 8 or higher qualification in Education (An Honours year with a research component, graduate certificate, graduate diploma or higher), regardless of the age of the qualification. You do not need to apply for this credit. Depending on your study area, you can receive up to 50 per cent advanced standing from masters or higher study completed in another program. Prior study must be current. Study over 10 years old is not normally considered. If you are applying for advanced standing for specific units, you will need to provide detailed unit/subject outlines from your previous study. These outlines must include learning outcomes, learning content, and assessment including word lengths. No advanced standing can be granted for undergraduate study, or postgraduate study at a lower level than masters. You can also apply for advanced standing based on work or industry experience. Advanced standing is not able to be awarded for normal teaching experience. If you are responsible for an original academic work, such as creating a course and/or curriculum, or have published any original research, then you may be eligible for advanced standing for work or industry experience. The original academic work must be in excess of 5000 words. If you intend to apply for advanced standing for prior study you can view more information and find out how to apply.